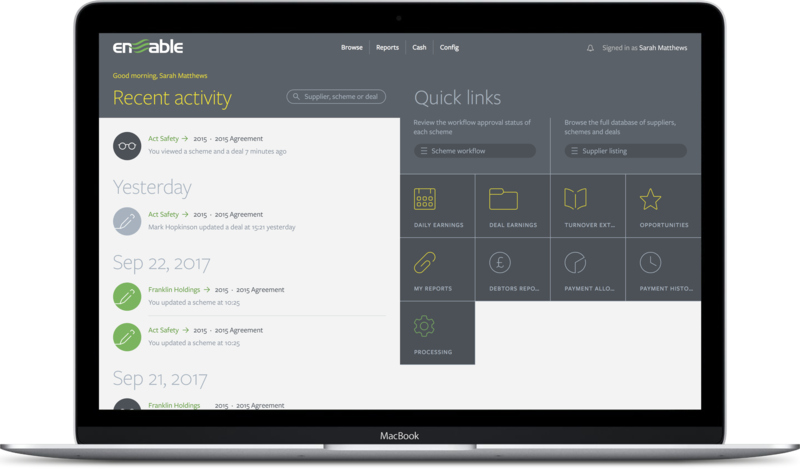 Software developed from the ground up to deal specifically with the challenges of global rebate management, delivering a structured approach to managing complex trading agreements, supplier rebates and supplier rebate agreements. Provides a buyer with visibility of rebate earnings from deals linked to purchase volume or value. Rebates may earn across all purchases or be limited to specific products. Allows a buyer to track rebate earnings from volume or value growth, or achievement of a target threshold. Allows a distributor to calculate revenue required from suppliers where margin support contracts are in place for specific customers and/or specific products. 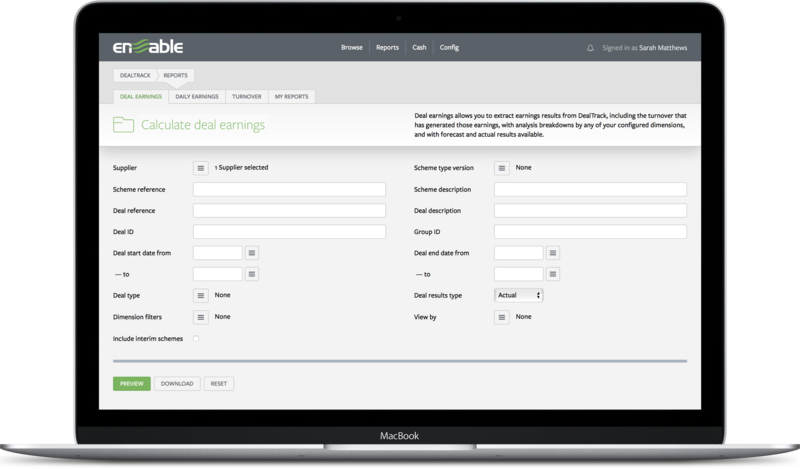 Allows rebate earnings from both volume-based and value-based deals to be calculated and tracked. Allows rebate earnings from volume and value deals that have a tiered rate to be calculated accurately and reliably. Allows multi-branch or multi-company organisations (such as buying groups) to calculate and track rebate earnings from complex deals that are based on aggregated group purchases or where different units in the organisation earn different rebate rates. Allows an “end user” organisation to differentiate between off-invoice discounts offered by distributors and rebates paid retrospectively by manufacturers and brand owners of the products used. Provides a buyer with up-to-date visibility of Net (of distributor discount) and Net-Net (of distributor discount and manufacturer rebate) pricing. Allows rebates to be calculated automatically from raw sales and/or purchase transactions accumulating in sales and purchase order processing systems. Sales can be based on sales orders or invoices, and purchases can be based on purchase orders or goods received. Automatically compiled data reports in support of supplier invoices. 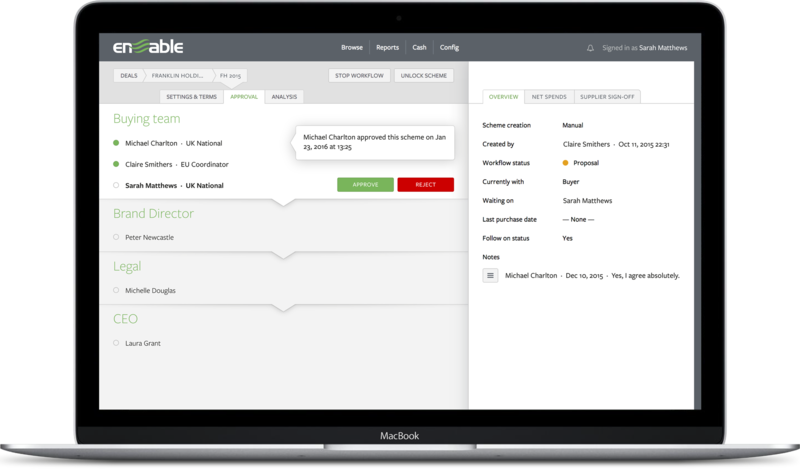 Allocate deals to an automated invoicing schedule, allowing multiple. Automatically produced invoices to suppliers for rebate earnings. In situations where a distributor has pricing support from a manufacturer, this facility allows the distributor to check the absolute margin of sales orders as they are placed (taking manufacturer support into account), and so highlighting incorrect selling prices and ensuring that all margin support deals are registered in the system ready for invoicing. Review spend and rebate performance for the current year vs. previous year, vs. forecast for the full year as well as reviewing actuals so far. Allow suppliers to view relevant information online. Have deals authorised and signed off online. A configurable rules engine routes each deal based on its contract value. Invite suppliers to login to review and sign-off deals as well.